Watching My Boo, I couldn’t help but secretly wish it was the most elaborate Running Man Challenge video ever, its 77-minute running time culminating in a group dance number to the Ghost Town DJs hit of the same name, but alas, there was no such payoff to this dull, uninspired fatal attraction thriller. In fact, there’s no payoff whatsoever, because there’s NO ENDING. Presumably, the production ran out of money, because the movie. Just. Stops. That’s probably for the best, though, since there was little hope the film would improve enough during its climactic moments to make it worthwhile. If you’ve seen any psycho stalker movie of this ilk, you know how this one plays out. A seemingly kind, innocent individual — in this case, a next door neighbor named Fred (Revon Yousif) — enters the life of our protagonist, Lisa (Ashlee McLemore, from The Ghost of Saint Aubin). He runs into her “coincidentally” several times, slowly infiltrating her life while secretly committing nefarious acts to break down her will and her ties with others: making harassing calls, setting up hidden video cameras in her apartment and ultimately, attacking her boyfriend (a temperamental lout who never does anything worthy of her devotion) and anyone who looks at her sideways. This sort of film can be a guilty pleasure, but My Boo can be deemed enjoyable only on a “so bad it’s good” level, as it suffers from the typical shortcomings of micro-budget fare: a cliché-ridden script, amateurish acting, poor sound, drab dialogue and inept action sequences (in one stabbing scene, the attacker looks like he’s buttering bread). One particular quirk makes it strangely watchable in a train-wreck, drinking game sort of way, though: there must be a DOZEN scenes (I lost count around eight) comprised of people talking on the phone. JUST TALKING ON THE PHONE. Seriously, I had to look to see if the words “sponsored by Sprint” appeared in the credits. And if that’s not ridiculous enough, the disembodied voices on the other end of the line are clearly the muffled voices of someone speaking off camera from across the room. 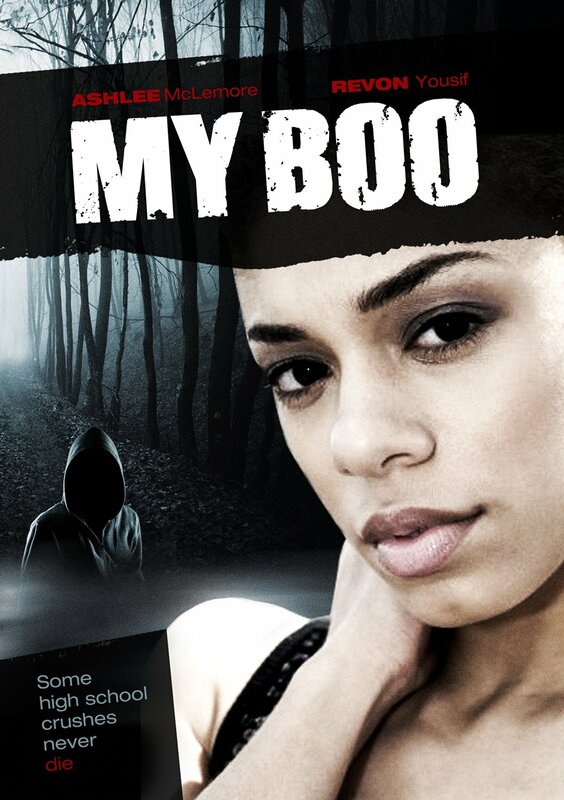 Still, it’s nice to see a genre film directed by a black woman (Erica D. Hayes), but it would’ve been nicer if casting hadn’t reinforced the tired hierarchy of the light-skinned “good girl” lead and dark-skinned, brash, hyper-sexual sidekick — named Strawberry (Eboni Deberry), for goodness’ sake.